Explore Bedford is a membership organisation. Its aims and objectives are to raise the profile of Bedford as a dynamic, unique and ambitious visitor destination. Bedford is bigger than the sum of its parts; by uniting together, we have a louder voice, a greater impact and a shared goal. We can create our own narrative about Bedford and change perceptions. All members – big or small – will benefit. Publisher and editor of the Bedford Clanger and co-founder of BedPop. 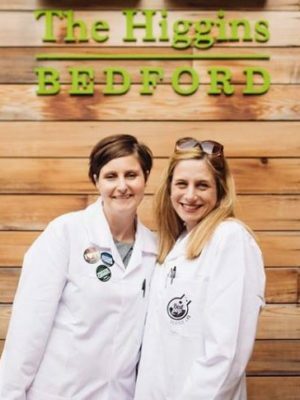 A PR graduate with 15 years’ industry experience, Erica co-founded We Are Bedford, Bedford’s largest and most interactive Facebook group, set up the Bedford Clanger in 2011 and created BedPop in 2012. Erica is a vocal advocate of Bedford. Commercial Director of the Bedford Clanger and BedPop, Julia works closely with our sponsors and partners. With 18 years’ experience in publishing and advertising, Julia was the former commercial manager at Beds on Sunday. Julia is a born and bred Bedfordian who loves her home town.